Volkswagen has been a stalwart supporter of the diesel engine since it first started offering a Golf diesel in the 1970s. It’s done more than any other brand to drive the modern turbodiesel market, and even has the generic term for modern diesels as a trademark: TDI. So on 9 August 2013, it understandably wanted to celebrate the inventor of the diesel engine, Rudolf Diesel: he died 100 years ago that autumn (in mysterious circumstances…) and, as Volkswagen said, could never have conceived how the engine bearing his name would revolutionise the global automotive industry. 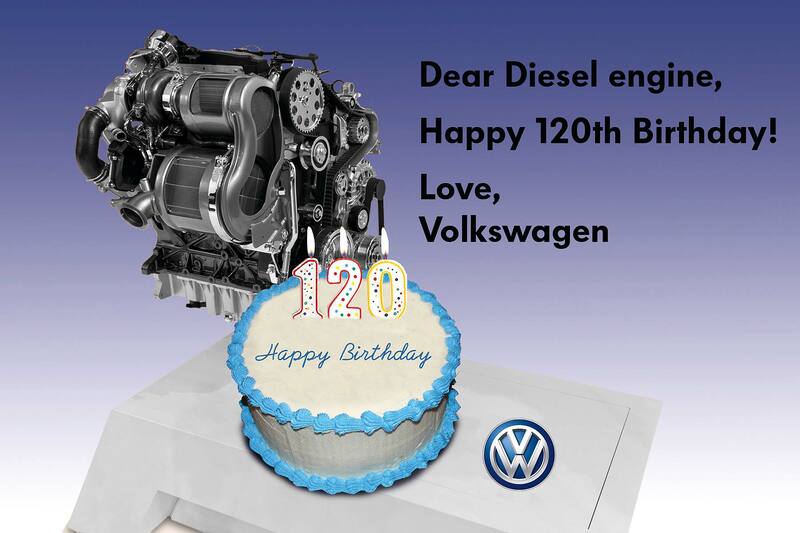 Volkswagen thus Photoshopped up a cake next to a diesel engine, adding on a few (hopefully clean-burning) candles for good measure. Happy birthday, the diesel! Two years on, how different things are… Rudolf could never have conceived how a scandal surrounding the emissions of his engine could engulf a car company so quickly, either. Which makes looking back at some of the figures quoted in the VW birthday diesel stunt all the more eyebrow-raising. In 2013, for example, more than 75% of diesel engines sold in the United States’ passenger and SUV segments were under the bonnet of a Volkswagen. Diesel was a BIG thing for VW in the U.S.. Since 1977, more than one million diesel Volkswagens have been sold in United States. And by August 2013, Volkswagen had sold more than 56,000 TDI Clean Diesel cars – almost a quarter of the cars it sold. We now know that many of those contained defeat device emissions test-cheating software. Which sort of tarnishes the birthday celebration somewhat – and now gives Volkswagen bosses a mystery to unpick that’s almost as odd as the disappearance of Rudolf Diesel himself. “What’s your oldest Land Rover memory?” asks our tour guide as he negotiates an eleventy-point-turn in the rare, 147-inch Defender. 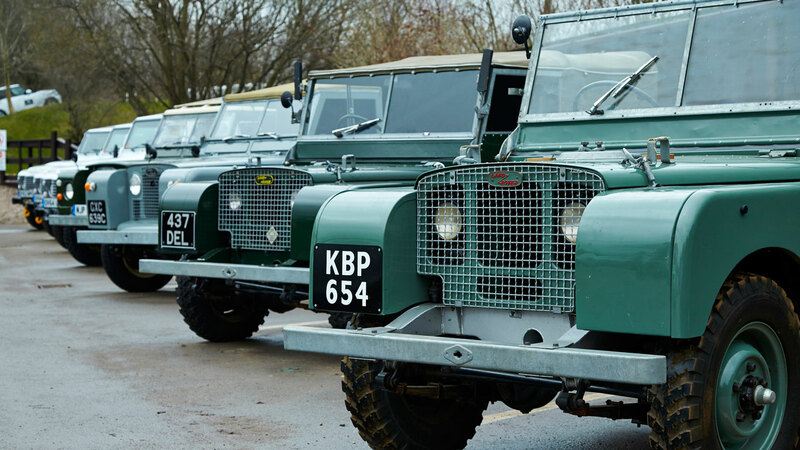 The group of journalists he’s carrying all have an interesting Land Rover story to tell – either memories of being driven in one as a youngster, going on a safari in one somewhere exotic or, in my case, learning to drive in one.